We’d love your help. 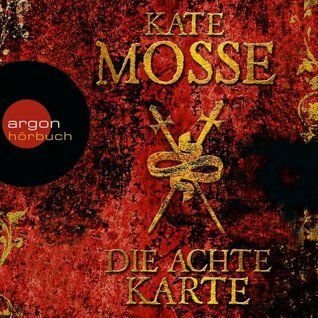 Let us know what’s wrong with this preview of Die achte Karte by Kate Mosse. To ask other readers questions about Die achte Karte, please sign up. Is there a list of all the Debussy's works mentioned in this book? Can this book be read without reading Labyrinth (Book 1) ? ”Compelled by the act of an innocent girl in a graveyard in Paris, something is moving within the stone sepulchre. Long forgotten in the tangled and overgrown alleyways of the Domaine de la Cade, something is waking. To the casual observer it would appear no more than a trick of the light in the fading afternoon, but for a fleeting instant, the plaster statues appear to breathe, to move, to sigh. And the portraits on the cards that lie buried beneath the earth and stone, where the river runs dry, ”Compelled by the act of an innocent girl in a graveyard in Paris, something is moving within the stone sepulchre. Long forgotten in the tangled and overgrown alleyways of the Domaine de la Cade, something is waking. To the casual observer it would appear no more than a trick of the light in the fading afternoon, but for a fleeting instant, the plaster statues appear to breathe, to move, to sigh. And the portraits on the cards that lie buried beneath the earth and stone, where the river runs dry, momentarily seem to be alive. Fleeting figures, impressions, shades, not yet more than that. A suggestion, an illusion, a promise. The refraction of light, the movement of air beneath the turn of the stone stair. The inescapable relationship between place and moment. For in truth, this story begins not with bones in a Parisian graveyard, but with a deck of cards. Meredith Martin, under the guise of researching her book on the composer Achille-Claude Debussy, goes to France to see the places that Debussy lived and frequented, but she also has an alternative agenda to discover more about a family connection to a place called Domaine de la Cade. While in Paris, she would like to do some of the normal tourist things, like visit Shakespeare and Company on the Left Bank, but the thought of dealing with all the tourists at such a place is too daunting. My most recent experience with this was the Empire State Building in NY. I went in and stood in line, listening to the cacophony of excited people speaking in languages from all over the world, and, after a few minutes, left to go to the Strand Bookstore instead. It is hard to complain about tourists when I am a tourist myself, but alas, they are such intrusive, noisy people while on vacation. Almost as if being compelled by forces beyond her, Meredith ends up in a Tarot Card shop in Paris where a woman convinces her to have her cards read. The reading is, to say the least, interesting even, one might say, awkward with overtones of unnerving insights. For a moment, their eyes met once more. If I accept them, there’ll be no way back. Meredith may possess a healthy dose of skepticism, but those beliefs have been shaken. Her less used senses are tingling with speculations of things unseen, of forces that pluck the strings of fate with malevolent intent. In her research, the year 1891 keeps appearing, and that brings in the other side of the story. Like with her first book in the Languedoc series, Labyrinth, Kate Mosse tells two stories separated by time, but the two timelines are entwined by a mystery. In this case, 1891 and 2007 become separated by a very thin veneer, with villains on both sides of the timeline, intent on possessing what they should never have. In 1891, Victor Constant, Comte de Tourmaline, a very wealthy, syphilitic aristocrat is intent on enacting revenge on Anatole Vernier, whom he perceives as the man who stole his lover from him. Anatole’s sister, Leonie, is also his target. What better way to create the maximum pain for Anatole than to seduce his sister. Leonie has been reading about the history of the Domaine de la Cade, where they are staying, and is discovering a past that is beset with strange occurrences revolving around a sepulchre and a deck of tarot cards. She has romantic views of the world and is certainly susceptible to the charms of a sauve, seemingly elegant man. In 2007, Julian Lawrence, now the owner of what is now the Hotel Domaine de la Cade, has also done extensive research on the history of the estate and wants the power that he knows the tarot deck will give him access to. Meredith and Leonie, in two different eras, will find themselves desperately trying to understand the mystifying clues that will help them to understand the dangers they face from the ethereal and the very real present. Can they figure out the clues to the puzzles before they run out of time? I read Labyrinth back in 2006 on a plane ride back from Milan, Italy. I had been dangerously close to running out of reading material when I spied the turquoise cover of Mosse’s book in a spinner rack in the airport. By chance this turned out to be the perfect book to read on a long, boring flight back to the States. I am frequently baffled by how long it takes me to return to an author I enjoy, but here we are 12 years later, and finally I read the second book in the series. I’ve got the next two in the series, Citadel and The Burning Chambers, squirreled away on my shelves. I do sincerely hope it doesn’t take me another 12 years to get to the next one in the series. The books all take place in the Languedoc region of France and have similar themes, but can be read as stand alone novels or out of order, so if one plot of one of the books appeals to you more than another, have no fears that you are breaking one of the cardinal sins of reading books in a series out of order. There is a television adaption of Labyrinth that was released in 2012, and there are current negotiations underway to do the same with Sepulchre. If you like a bit of gothic atmosphere with your timeline smashups, then you will not be disappointed. 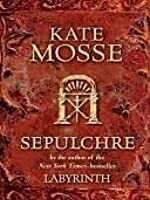 4 stars to Sepulchre by Kate Mosse, the second in the "Languedoc" historical fiction (maybe a little fantasy) series. After I read the first book, I had to follow through on this one. And recently, I learned the third one was published a few years ago. I didn't know there was another... but I will definitely finish this series. It takes place in the French mountains, how could you not love it? The story is very complex, but very strong. The characters are memorable. The struggle between the past 4 stars to Sepulchre by Kate Mosse, the second in the "Languedoc" historical fiction (maybe a little fantasy) series. After I read the first book, I had to follow through on this one. And recently, I learned the third one was published a few years ago. I didn't know there was another... but I will definitely finish this series. It takes place in the French mountains, how could you not love it? The story is very complex, but very strong. The characters are memorable. The struggle between the past and the present drives this story. It is historical fiction, for a large part of it, so you have different time periods to focus on. But it's handled well. Add in some ghosts, a little fantasy, mystery and suspense over the 100 year gap between the two time periods, and you've got a good story. You will keep trying to guess all the connections and be happy when you find out. You should read at least the first two... and I'll let you know whether the last one is important or not, once I read it! The connection between the first two books is surprising, so I am curious how the third one fits in. There are many types of ghosts. Those who cannot rest because they have done wrong, who must seek forgiveness or atonement. Also those to whom wrong has been done and who are condemned to walk until they find an agent of justice to speak their cause. This book has been sitting on my bookshelf way too long. Because once I l started reading, I just couldn't stop! A dual narrative, alternating between 1891 and 2007, Sepulchre explores the supernatural world and those who try to bend it to their wil There are many types of ghosts. Those who cannot rest because they have done wrong, who must seek forgiveness or atonement. Also those to whom wrong has been done and who are condemned to walk until they find an agent of justice to speak their cause. This book has been sitting on my bookshelf way too long. Because once I l started reading, I just couldn't stop! A dual narrative, alternating between 1891 and 2007, Sepulchre explores the supernatural world and those who try to bend it to their will. In 1891, we are introduced to brother and sister, Anatole and Leonie Vernier. The two are visiting their recently widowed aunt, Isolde, far away from the dramatic events in Paris that Anatole has embroiled himself in. In 2007, we have Meredith Martin, and American grad student writing a book about Claude Debussy and tracking information regarding her biological mother's French connections. A pack of tarot cards and an isolated family home will set these two storylines on a collision course with supernatural forces and evil men. Léonie has to be one of the most irritating female characters I've read in a while: she wants to be considered an adult (being a 17-year-old girl in France in 1891) and yet consistently behaves like a child. When she is caught and (rightly) chided, she throws a tantrum worthy of a toddler. Every time, up until the last 50 or so pages, only a chapter is devoted to her actual emotion growth--which would have made a far more interesting story. Even Léonie's aunt Isodel had Thank goodness it's over. Léonie has to be one of the most irritating female characters I've read in a while: she wants to be considered an adult (being a 17-year-old girl in France in 1891) and yet consistently behaves like a child. When she is caught and (rightly) chided, she throws a tantrum worthy of a toddler. Every time, up until the last 50 or so pages, only a chapter is devoted to her actual emotion growth--which would have made a far more interesting story. Even Léonie's aunt Isodel had promise as a character up until those last few pages--but unfortunately not being main focus character Léonie, Isodel is denied any character growth: until the end she is weak, weepy, and lost without her man. Meredith may be less irritating, if only because she is an adult (less her Tragic Backstory, but it wasn't too bad, considering). Her introduction to Léonie's story stretches the imagination--there was no reason for her not to have her own 'twist' in her story instead of the Debussy memoir. If your character is supposedly researching a significant (real) historical figure, either she'd better let me know more about him, or discover something important (even if not real) during the course of the story. Instead Meredith's memoir research is her reason for being in France, and is given a shout out at the end. She does grant it a few thoughts while she wanders merrily on her own adventures, but I would like to know how she managed the rest of her research during her trip. The character description of both characters at times crossed into the terribly awkward: twice Léonie's hair is described as [paraphrased]: "falling down her back like a skein of silk to her slender waist", and Meredith gets a "she stretched her long, slender arms above her head." Neither is too terribly bad, but generally the text is fairly close 3rd person, which makes it sound like Léonie and Meredith have rather generous descriptions of themselves. Of course, this may well be my own insecurity, but since they've both had, and are continually given, perfectly serviceable and non-intrusive descriptions saying the same thing before, it's unnecessary purple prose. Speaking of purple prose, there's a lot of it. Mosse wants to place the reader in France, either in the late 19th century or modern day, and she spends a lot of words attempting too. Unfortunately, it reads more like a laundry list or a description of a post card, and buries whatever atmosphere or authenticity the setting could have granted. And frankly, I really don't care about the clothes. Patricia Clapp, in Jane-Emily had a few descriptions of clothes for her teenage narrator, but used them to indicate character growth. Here, it's just filler. Sepulchre's plot seems to be based on a similar conspiracy theory to The Da Vinci Code I think (admittedly, I'm more than a little shaky on my French history, but since I just read Secret Societies, the names seemed familiar). The tarot angle, quite frankly, never seemed to go anywhere, but perhaps it's just because this book took me so long to read. Léonie, especially, became so irritating after just a few chapters I'd have to set it down for minutes/hours/a month. Oh, and if you enjoy clever, engaging, convincing, threating villains, look somewhere else. Quite frankly, the foreshadowing in this novel, especially later, devolves into "That's an odd thing. It makes me think of ___. But that couldn't possibly be the case! Nope, no way. Couldn't possibly! Because I said so." Saying that, most of the rest wasn't too bad. But maybe trying to keep up suspense, a great many chapters ended on this note. Last, but not at all least, the villains are given their own point of view chapters, which is frankly one of the worst decisions in this book. This isn't a spoiler, because as soon as we get their pov, the villains announce their villainy. And in case you don't believe them, go out of their way to make their evil plans by rubbing their hands and cackling madly and commenting on the beauty of the protagonists. Both were despicable characters, not frightening antagonists. As a final note, however 19th century rich people though of their servants, it's something of a turn-off when your narrator genuinely thinks of the 'commoners' as being lesser. Every time she ended outside her house and family and encountered real people, Léonie seemed incapable as seeing them as anything but threatening. (And honestly, even if she did know more, it wouldn't have helped her. She's not a critical thinker of anything). The closest she can come to identifying with someone from a lower class than herself is with her Most Loyal Servants. And regarding the end? If anyone else can tell me that the very end does anything more than confirm her attitude as right, please let me know. Because I was seeing red. October 1891: a young Leonie Vernier and her brother, Anatole, are invited to leave gas-lit streets of Paris and travel to stay in the south at Domaine de la Cade, the home of their aunt. In the ancient, dark woods, Leonie comes across a ruined sepulchre and is drawn into a century-old mystery of murder, ghosts and a strange set of tarot cards that seem to hold enormous power over life and death. October 2007; Meredith Martin decides to take a break from her research trip to Paris, where she is working on a biography of Claude Debussy, and head south to a beautiful hotel, Domaine de la Cade, in the woods outside Rennes-les-Bains. On a personal quest also, she becomes fascinated by the history of the place and by the tragic events of one Halloween night more than a century ago before, which shocked the small community. Thus, her fate becomes entwined with that of Leonie. But it is only when she, too, stumbles upon the secluded sepulchre in the forest that she realises the secrets it contains are far from dead and buried. * Meredith is on a search for her ancestry with only an unnamed photograph as a guide; she’s about to discover her own links with Domaine de la Cade. Eh, I've read worse. But I've also read much better. Despite some intriguing motifs & settings, this book is bloated with extraneous detail & hampered by flat characters. Even the most dramatic moments never manage to engage the reader beyond a momentary blip of acceptance. Example: "Oops, that crazy dude is dead. Wait, what? You're saying some tarot cards & a vaguely-described devil killed him? ...Oh well." Somewhere in this book is a decent gothic novel -- but it's trying way too ha Eh, I've read worse. But I've also read much better. Despite some intriguing motifs & settings, this book is bloated with extraneous detail & hampered by flat characters. Even the most dramatic moments never manage to engage the reader beyond a momentary blip of acceptance. Example: "Oops, that crazy dude is dead. Wait, what? You're saying some tarot cards & a vaguely-described devil killed him? ...Oh well." Somewhere in this book is a decent gothic novel -- but it's trying way too hard. People behave stupidly for no reason other than to serve a flat, predictable plotline, & neither the story nor its inhabitants manage to compensate for the other. Thirty minutes later, feeling more like herself, she wrapped herself in a huge white bathrobe, plugged in her cell to recharge and sat down at her laptop. Discovering she couldn't get Internet access, she reached over and dialed reception. "Hi. This is Ms. Martin. In the Yellow Room. I need to check e-mail, but I'm having trouble getting online. I'm wondering if you can give me the password or if you can organize it from your end?" Holding the receiver between her ear and her shoulder, she scribbled down the information. "Okay, that's great, thanks. Got it." She hung up, struck by the coincidence of the password as she typed it in--CONSTANTINE--and quickly got a connection. She sent her daily e-mail to Mary, letting her known she'd arrived safely and that she'd already found the place where one of the photographs had been taken, and promising to be in touch if there was anything to report. Next she looked into her checking account and saw with relief that the money from the publisher had at last come through. There were a couple of personal e-mails, including an invitation to the wedding of two of her college friends in Los Angeles, which she declined, and one to a concert conducted by an old friend, now back in Milwaukee, which she accepted. *YAWN* This? Yeah, this is NOT a substitute for character development. Rather, this is on the extreme end of Unimportant Information. Not every tangent in SEPULCHRE is so utterly useless to the plot, but c'mon. This breed of meandering play-by-play is the kind of thing you'd expect in second-rate fanfic, not a professional manuscript. For shame, editors. For shame. Kate Mosse's Sepulchre is a historical fantasy -- historical fiction with fantastic elements. I enjoy both genres, and this novel features a female graduate student (somebody I can relate to) as one of the main characters, and it's available on audiobook, so I thought it would be good entertainment on my commute. I got about ten chapters in before quitting. The book seems well-researched, is competently written, the tone switches easily and successfully fro ORIGINALLY POSTED AT Fantasy Literature. "It was not quite dawn, yet Paris was waking. In the distance, Anatole could hear the sounds of delivery carts. Wooden traps over the cobbles, delivering milk and freshly baked bread to the cafes and bars of the Faubourg Montmartre. He stopped to put on his shoes. The rue Feydeau was deserted; there was no sound except the clip of his heels on the pavement. Deep in thought, Anatole walked quickly, to the junction with the rue Saint-Marc, intending to cut through the arcade of the Passage des Panoramas. He saw no one, heard no one." "By the time a smoggy and hesitant dawn broke over the offices of the Commissariat of Police of the eighth arrondissement in the rue de Lisbonne, tempers were already frayed. The body of a woman identified as Madame Marguerite Vernier has been discovered shortly after eight o'clock on the evening of Sunday, September 20. The news had been telephoned in from one of the new public booths on the corner of the rue de Berlin and the rue d'Amsterdam by a reporter from Le Petit Journal." "In the next stack she discovered a first edition of Maistre's Voyage autour de ma chambre. It was battered and dog-eared, unlike Anatole's pristine copy at home. In another alcove she found a collection of both religious and fervently antireligious texts, grouped together as if to cancel one another out. In the section devoted to contemporary French literature, there was a set of Zola's Rougon-Macquart novels, as well as Flaubert, Maupassant and Huysmans --indeed, many of the intellectually improving texts Anatole tried in vain to press upon her, even a first edition of Stendhal's Le rouge et le noir. There were a few works in translation but nothing entirely to her taste except for Baudelaire's translations of Monsieur Poe. Nothing by Madame Radcliffe or Monsieur Le Fanu . . . The first was Dogme et rituel de la haute magie by Éliphaas Lévi. Next to it was a volume titled Traité méthodique de science occulte. On the shelf above, several other writings by Papus, Court de Gébelin, Etteilla and MacGregor Mathers. She had never read such authors but knew they were occultist writers and considered subversive. Their names appeared regularly in the columns of newspapers and periodicals." At first, I found myself rolling my eyes at every French phrase and name-drop, but since that started to become a driving hazard, I just quit listening. I would much rather read a story whose purpose is to entertain me, not to enlighten or impress me. Sadly, Sepulchre did none of these things. "Siempre llega un momento en que el deseo de pasar a la acción, por malévola que sea la causa, es más poderoso que el deseo de escuchar a nadie." Este libro me ha encantado! Una historia repleta de misterios, leyendas, enigmas, espíritus y demonios; alternando en líneas de tiempos por dos protagonistas espectaculares. Esta novela estará entre mis favoritas, con sus momentos de terror, una descripción de los escenarios genial, que nos brinda una imagen clara de lo que se refleja en el libro. 100% rec "Siempre llega un momento en que el deseo de pasar a la acción, por malévola que sea la causa, es más poderoso que el deseo de escuchar a nadie." This review has been hidden because it contains spoilers. To view it, click here. There might have been a good story in this book but it was overshadowed by flat and silly characters. As someone else has pointed out, so many of the events in this book are completely avoidable and the characters just act stupidly in order to carry out the plot. The book centers on a brother (Anatole) and sister (Leonie) who go to live with their Aunt (Isolde). Isolde and Anatole are actually secret lovers hiding from her malicious former lover. Although Anatole knows he is being stalked by the There might have been a good story in this book but it was overshadowed by flat and silly characters. As someone else has pointed out, so many of the events in this book are completely avoidable and the characters just act stupidly in order to carry out the plot. The book centers on a brother (Anatole) and sister (Leonie) who go to live with their Aunt (Isolde). Isolde and Anatole are actually secret lovers hiding from her malicious former lover. Although Anatole knows he is being stalked by the former lover (Victor), he never reveals this to the two woman in his life. Eventually the violent Victor catches up with the lovers but again, this information is hidden from the sister. The ultimate showdown between Leonie and her brother's rival is ridiculous. Within one pargraph she agrees it is time to leave her aunt's home and then "holds steady" in her decision to stay. She knows Victor will attempt to attack her on Halloween and plans to leave to avoid the confrontation but then does not (there is no explanation why she has not left). She receives a request to visit with the local priest on Halloween. Although clearly suspicious, she leaves to visit the priest but is surprised when he is not there to greet her. Shocked that this has been a ploy to drive her away. There are story lines that go absolutely nowhere and seem to have nothing to do with the story. This is a fairly long book with a lot of exposition and very little to draw it all together. The secondary modern story line is tedious and boring. I looked forward to this 2nd novel (sort of, there are 2 other books no longer in print) from Mosse having read & enjoyed Labyrinth, her 1st. I wanted to read this based on Labyrinth & because one of the main characters was writing a biography of Claude Debussy, my favorite composer. Concerns of the French in the book didn't give me trouble after 4 years in high school, enough to help me through. This is set up like Mosse's 1st novel with connections between a present day "heroine" and one of an earlier time. The story bounces between present day and turn-of-the-century southern France in the Languedoc (literally "language of Oc", spoken there hundreds of years before). The characters were, in my humble opinion, quite well written; I did find the characters in the past slightly more interesting than those of the present. 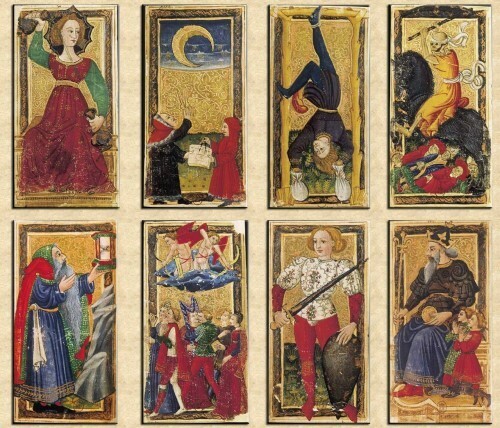 The characters are tied by a secret that revolves around the ancient "art" of tarot. I don't personally believe in tarot or astrology or things of the sort, but that didn't stop me from enjoying the book; if anything, my lack of knowledge on the subject made it all the more interesting. I have read of comparisons to Mosse's 1st novel, but I fail to see anything redundant in this novel, past & present heroines aside. It is hard to write a review of this book with any detail without spoiling the story so I shall not give my usual summary so as to leave the mystery there should you read it. All I will say is that the book is thick with suspense, bouncing forward or back at just the right moment so that you remain continually frustrated when you must wait to return to the other characters or timeframe. Mosse has a gift, in my humble opinion, for writing characters with substance. I felt a pang of sadness as I read the last page because I had grown to know the characters & I liked, or hated, them very much. The Debussy information was detailed & accurate (I love & study Debussy). There was some creative license taken, as Achille-Claude Debussy did play in to the novel, but his person & his music remain untarnished by the tale. My biggest regret from this book is that I don't play the piano; a piano piece, written for this book & which plays in to the story, is printed at the end. I wish I could play the piano and hear it's (I assume) haunting permeations. Alas, perhaps I shall find someone who can play it for me. The things I didn't like about this book far oughtweighed the good that there was in it for me, I liked how it was based around a fictional tarot, characters included a violinist and an archaeologist (I like reading about what I do, then who doesn't?). I got it in easons on the 7.99 table on the premise of it being cheap, & that I liked the idea of it. Quelle erreur! the description at the back was misleading. Characters contradiciting themselves frequently; there were many instances that su The things I didn't like about this book far oughtweighed the good that there was in it for me, I liked how it was based around a fictional tarot, characters included a violinist and an archaeologist (I like reading about what I do, then who doesn't?). I got it in easons on the 7.99 table on the premise of it being cheap, & that I liked the idea of it. Quelle erreur! the description at the back was misleading. Characters contradiciting themselves frequently; there were many instances that suggested it wasn't even proof read or edited correctly. Meredith the american protagonist with a phd in english speaks and thinks in cliche;leonie the nineteenth century counterpart is described by her brother as not hugely into books, then says in passing to her tante isolde that her brother thinks she reads too much; also she gets startled by a "tiny wood pidgeon" in the woods? ehm tiny..they're actually kind of big. Then there are the historical discrepancies,okay it's fiction but come on if I wanted to read denis wheatley I would. Coming from someone who knows a bit about the ecclesiastical history of the area, she has made major omissions that I could devote the entire review to, that are doubtlessly there for effect, as are the child killings at the end, inserted as an afterthought. If I was purchasing a mystery novel I'd like some indication of it. Why guild it up like something that is more complex? I disliked the faux pretention of french inserts when she promptly writes the english translation after every word she italicies, does she think much of her readership or what?!! I don't mind reading 550+ pages of a novel, but not of this calibre.Every time I picked it up for another 100 page installment it produced an unbearable ennui. A very well constructed series, this book is a 'can't put down' page turner, enjoyed every page. Not a disappointment as the 2nd in the series either. Read them all, it is worth it! Sepulchre wraps its ghostly tendrils around you. Flee you may, escape you cannot. The book was so good that I finished it in two days. The story is fascinating and the characters are interesting. Except Isolde, I detested her. I loved the atmosphere, it wonderfully Gothic. While the esoteric aspect held no interest for me, it certainly influenced many of the characters. Also I would have appreciated an English translation of all the French, since I don't speak French, some of the nuance of the di Sepulchre wraps its ghostly tendrils around you. Flee you may, escape you cannot. The book was so good that I finished it in two days. vFoi à segunda tentativa que consegui ler este livro. O ano passado, por alturas do Verão trouxe este livro para ler. Ainda cheguei à páginas 140, mas tive de desistir porque não me estava a adaptar à história. Por algum motivo que eu não consigo explicar, estava a ser uma leitura custosa e então decidi abandonar o livro. Quando o fui deixar à biblioteca, o senhor perguntou-me o que é que eu tinha achado, eu disse-lhe o que tinha desistido e ele só me falou bem do livro. Como confio nos gostos d vFoi à segunda tentativa que consegui ler este livro. O ano passado, por alturas do Verão trouxe este livro para ler. Ainda cheguei à páginas 140, mas tive de desistir porque não me estava a adaptar à história. Por algum motivo que eu não consigo explicar, estava a ser uma leitura custosa e então decidi abandonar o livro. Quando o fui deixar à biblioteca, o senhor perguntou-me o que é que eu tinha achado, eu disse-lhe o que tinha desistido e ele só me falou bem do livro. Como confio nos gostos do senhor (já de outras vezes me deu boas indicações), esta conversa fez-me anotar mentalmente que seria para dar uma segunda oportunidade a este livro. E agora, no fim da leitura, não me arrependo. O livro Sepulcro é o segundo livro de uma série mas, pela minha experiência, podem ser lidos separadamente. O facto de não ter lido o primeiro não afectou em nada a compreensão deste segundo livro. Pelo que fiquei a saber, a única coisa que une a série é o facto de o local da acção ser comum aos diferentes livros, porque o restante diverge. No livro podemos encontrar duas histórias paralelas separadas no tempo. Por um lado, temos a história de Meredith que decorre no ano de 2007. Esta personagem procura a história da sua família biológica enquanto escreve a biografia de Debussy. Por outro lado, temos a história que decorre entre 1891 e 1987 que nos traz a vida de Léonie, Anatole e Isolde. A parte recente do livro não é aquela que mais me cativou. No fundo, é sempre uma preparação para a história passada uma vez que há uma ligação familiar entre as personagens do presente e do passado. Relativamente à história passada tenho a dizer que é bastante interessante. Há muita história e mistério em torno da propriedade de Domaine de la Cade. É para este lugar que Anatole e Léonie vão viver, depois de uns acontecimentos em Paris. Léonie é uma jovem de 17 anos muito inteligente e curiosa e logo que chega a Domaine de la Cade observa e explora tudo aquilo que lhe é possível. Nestas explorações depara-se com uma espécie de capela na propriedade que é denominada de sepulcro. Em torno desta ruínas a autora desenvolveu um mistério interessante e que tem como chave importante um livro e um baralho de Tarot bastante especial. É um livro com muito simbolismo, muitas lendas e magia, aspectos associados a ambas as épocas. Eu gostei destes elementos do livro, gostei particularmente das explorações do significado das cartas de Tarot e naquilo que elas representavam para todo o universo do livro. O que menos gostei e que me desmotivou um pouco foi o excesso de descrições. A autora é muito minuciosa e explora todos os pormenores, chegando a ser extremamente detalhada em alguns momentos do livro. Confesso que em algumas partes me perdia na leitura e tinha de voltar a ler porque entretanto o meu pensamento divergia para outros lados e a compreensão do que estava a ler ficava pelo caminho. Na minha opinião, este é o grande ponto negativo do livro. Se a autora fosse mais objectiva a leitura teria sido bem mais fácil. Em todo o mistério que preenche as páginas do livro, há certas coisas que são um pouco confusas. Pelo que eu percebi a parte mística, mágica a sobrenatural é a grande explicação para muitos dos acontecimentos. Mas para ele tome outras proporções, é alimentada pelas lendas locais. Porém este paralelismo é um pouco confuso, Às vezes fiquei sem saber onde acabava um e começava o outro. Contudo, a ideia geral do livro ficou. A parte do romance romântico não tem grande destaque no livro, Há duas histórias de amor principais, e uma quase-história. Uma delas é passada no presente e a outra juntamente com a quase-história no passado. Não me vou alongar muito neste aspecto porque focando-me na história passada iria encher esta opinião de spoilers e que não quero quebrar nem o mistério nem o factor surpresa. É fácil intuir algumas coisas, mas mesmo intuindo e descobrindo antes da revelação a ânsia de querer uma justificação e explicação faz com que se vá avançando na leitura. Este é daqueles livros ideais para quem gosta de mistério com um toque de sobrenatural. Pessoalmente, gostei mais dos significados e simbologia em torno das cartas de Tarot, das quais já sabia alguma coisa. Okay. I would not have picked up this book, except for the fact that I'm currently in Cambodia and reading materials are thin on the ground, so one is forced to make do with whatever crosses one's path. First of, be warned that this book contains a beautiful heroine whose "silken hair" falls to her "slender waist" - I generally take beautiful, slender-waisted, silken-haired heroines as a warning that there will be very little character development. Also that the writing will probably be trite, b Okay. I would not have picked up this book, except for the fact that I'm currently in Cambodia and reading materials are thin on the ground, so one is forced to make do with whatever crosses one's path. First of, be warned that this book contains a beautiful heroine whose "silken hair" falls to her "slender waist" - I generally take beautiful, slender-waisted, silken-haired heroines as a warning that there will be very little character development. Also that the writing will probably be trite, because really, if you can't come up with a better description of your heroine than that, it doesn't bode well for your ability to describe anything else well. In this book, that proved generally true. It's too bad because there was some promise for, at the least, an exciting story, and there were some good and interesting descriptions of southern France, but the story was a mish-mash of Visigoths, music, and the Tarot, and the connections among them were never clear to me. And of course a long-lost descendant, not knowing she was a descendant, showed up in the 21st century portion of the book to uncover the entire mystery - unwitting long-lost descendants, like slender-waisted silken haired heroines, are another bad sign. This one has a good story even if some of the characters are annoying, and the problems they encounter would have been completely avoidable had it not been for their own stupidity. One such matter is how one of the main characters, Leonie, is treated like a child but tries to prove she is not a child by asserting her independence, and then is berated for "acting like a child." No, she is acting like a young woman who has not been told her family is in mortal danger. Also, Kate Moss uses a lot o This one has a good story even if some of the characters are annoying, and the problems they encounter would have been completely avoidable had it not been for their own stupidity. One such matter is how one of the main characters, Leonie, is treated like a child but tries to prove she is not a child by asserting her independence, and then is berated for "acting like a child." No, she is acting like a young woman who has not been told her family is in mortal danger. 1) Language. The constant French phrases in italics grated on me massively. Why italicise them? Or even better, why have them at all? The characters are French, yet speak English apart from to throw out the odd French word, like Anatole constantly calling Leonie 'petite'. Do it in English, or do it in French...no need for both. Definitely no need for italics as if the reader is so moronic that they would not recognise a French word otherwise. I got particularly annoyed by Anatole's letter to Leonie, which addresses her in French, but continues in English. Also, Mosse tries too hard to make Meredith 'American', littering Americanisms throughout her speech yet dropping the ball so often that it's clear the author is not an American herself. 3) The book was confusing at times as it is so (overly) long that some characters went hundreds of pages between mentions, so when I came across a name later in the novel I couldn't remember who it was. 'Louisa' was mentioned at the beginning, then again about halfway through, but it was only when Meredith did a run-down of her family tree that I remembered who Louisa actually was (her grandmother). - Leonie is aware that someone is hunting Anatole from the moment they flee Paris, yet consistently goes against his wishes, placing herself in danger and freely giving information to Victor Constant, a perfect stranger..who just happens to be the one person she shouldn't tell. - Similarly, Hal believes his uncle to be gulty of his father's murder yet proceeds to constantly parade his crusade for the truth under said uncle's nose, even to the point of inviting the one identified witness to the death, Dr Sheila Whatever-Her-Name-Is, to discuss it IN THE BAR OF THE UNCLE'S HOTEL. Jeeeesus...at least take her up to a private room? But no, that wouldn't do, because the uncle had to be able to overhear the conversation and Mosse is clearly too lazy to work out another way for him to find out about it. She doesn't even explain why evil uncle Julian wants the original cards so much that he's willing to murder everyone in his path to get them. - Leonie does not leave Domaine de la Cade! This was the most ridiculous point for me. Anatole & Isolde's mortal enemy, Constant, finds out where the family lives, murders Anatole and guns down Isolde, freely admits to murdering Marguerite (Anatole and Leonie's mother) and yet they don't leave! Instead of selling up and moving somewhere he would never find them, Leonie decides to stay at the Domaine on the grounds that Constant might be dead. Might. And surprise, suprise, he's not. And neither is his bizarre obsession with a woman he dated for 5 minutes years ago. 5) The conclusion. How on earth would Leonie know how to use the tarot cards to raise a demon? She had snippets of information from her uncle's pamphlet and from Audric Baillard, who didn't actually tell her how to do it. Why would she even rely on supernatural means to kill Constant when she could have pulled out a gun and shot him? What did music have to do with anything? Why did Leonie die? Meredith also witnessed the demon come to life, yet she wasn't killed. Why would the cards magically turn into Leonie's portraits of the Verniers? How did Meredith's modern day investigations constitute 'Justice' for Leonie - it was known that Constant murdered Anatole, and, indirectly, Isolde. Leonie was not murdered, so why did she need 'Justice'? 6) Meredith's celebration of Leonie as the heroine of the story. She wasn't a heroine, in fact she may as well be called the antagonist. Everything bad that happens in the novel is a direct result of her stupidity and selfish behaviour. Yes, she makes herself a martyr at the end, but could just as easily have organised the sale of the Domaine de la Cade on Isolde/Louis-Anatole's behalf and moved them all to safety, instead of staying there until it was too late to leave, despite knowing the danger they were in, and then essentially killing herself and leaving Louis-Anatole completely orphaned. Overall, 'Sepulchre' was just too convenient. Kate Mosse uses the improbable and downright ridiculous to propel her story towards the conclusions she wants in the easiest way possible. Obviously, I was not a fan of this book and, having already disliked Labyrinth, will not be returning to Mosse's work. Although I found Labyrinth a bit of a struggle, I enjoyed the basic idea of it (two stories, seperated by time, linked in mysterious ways). Which is lucky, as this is more of the same, but - in my humble opinion - better written and more compelling. Gone is Labyrinth's constant repetition - that, I imagine, was symbolic of the story repeating through the ages but which, quite frankly, got on my nerves. France is gloriously and passionately evoked, and the characters of the 1891 story are rounded Although I found Labyrinth a bit of a struggle, I enjoyed the basic idea of it (two stories, seperated by time, linked in mysterious ways). Which is lucky, as this is more of the same, but - in my humble opinion - better written and more compelling. Gone is Labyrinth's constant repetition - that, I imagine, was symbolic of the story repeating through the ages but which, quite frankly, got on my nerves. France is gloriously and passionately evoked, and the characters of the 1891 story are rounded and intreguing. I was less fond of the 2007 characters, and found myself disappointed when the story flipped back to them sometimes. However, the entire tarot storyline entranced me, and I was held until the end, despite predicting what was going to happen fairly early on. This didn't matter too much, as it is the glorious richness of Mosse's prose that hooks you, rather than just the storyline. This was a reread for me, although I can't remember exactly how long ago I first read it. It was definitely several years ago. I have found that sometimes when I reread a favorite book it may or may not hold on to it's "favorite" status. I am happy to report that this one passed the test ;). Mosse is a master at mixing up history, mythology, legend, and a little supernatural magic into creating a story filled with everything a reader could want. This book gets my highest recommendation!! Το βιβλίο είχε ενδιαφέρουσα πλοκή και ημετάβαση από το παρελθόν στο παρόν, και αντίστροφα, γίνεται αβίαστα. Το διάβαζα ευχάριστα το βράδυ όντας νυσταγμένη και θέλοντας κάτι εύκολο να διαβάσω για να με πάρει ο ύπνος. Ωστόσο, οι χαρακτήρες είναι μη ρεαλιστικοί. Τα πρόσωπα που πρωταγωνιστούν κσομούνται συνεχώς με ένα σωρό επίθετα για να τονιστεί η ομορφιά τους, ενώ ο τρόπος που λειτουργούν πολλές φορές είναι αδικαιολόγητα ανόητος. Οι ενέργειες τους πολλές φορές αποσκοπούν απλά στο να συνεχίσει να τρ Το βιβλίο είχε ενδιαφέρουσα πλοκή και ημετάβαση από το παρελθόν στο παρόν, και αντίστροφα, γίνεται αβίαστα. Το διάβαζα ευχάριστα το βράδυ όντας νυσταγμένη και θέλοντας κάτι εύκολο να διαβάσω για να με πάρει ο ύπνος. Ωστόσο, οι χαρακτήρες είναι μη ρεαλιστικοί. Τα πρόσωπα που πρωταγωνιστούν κσομούνται συνεχώς με ένα σωρό επίθετα για να τονιστεί η ομορφιά τους, ενώ ο τρόπος που λειτουργούν πολλές φορές είναι αδικαιολόγητα ανόητος. Οι ενέργειες τους πολλές φορές αποσκοπούν απλά στο να συνεχίσει να τρέχει το στόρι. Ακόμη και ο κακός χαρακτήρας της υπόθεσης φέρει ακραία και μη ρεαλιστικά χαρακτηριστικά. Τέλος, βρήκα περιττό το ότι πολλές λέξεις και φράσεις είναι στα γαλλικά, απλά και μόνο επειδή η υπόθεση διεξάγεται στη Γαλλία. I was very disappointed by this novel. Having read Labyrinth, I was interested to see what Mosse decided to follow up with. Sepulchre follows on from Labyrinth in similar style, flipping back and forth through time between modern-day Meredith Martin attempting to research her family history in southern France and the late nineteenth century Leonie Vernier in the same place. Meredith and her story are quite engaging. The mysteries of her family past and the hints at the connection back through tim I was very disappointed by this novel. Having read Labyrinth, I was interested to see what Mosse decided to follow up with. Sepulchre follows on from Labyrinth in similar style, flipping back and forth through time between modern-day Meredith Martin attempting to research her family history in southern France and the late nineteenth century Leonie Vernier in the same place. Meredith and her story are quite engaging. The mysteries of her family past and the hints at the connection back through time to the Verniers' promises an interesting story. This story is entirely ruined, however, with the parts of the book surrounding Leonie Vernier. Leonie is an utterly irritating character. Childish, peevish and utterly stupid for the vast majority of the novel, she quicky began to grate on me. As the heroine of the novel, I found myself unable to muster much sympathy with her. Her brother Anatole and their aunt Isolde are much more interesting characters but they are left mostly in the background, which adds to the frustration with the nineteenth century parts of the story. The real let-down with this novel, however, are the supernatural elements. The mystery surrounding the Tarot cards and the titular Sepulchre seems almost tacked onto the edges of what is essentially a family drama. Mosse sets up the Tarot as an important element at the beginning of the story and it remains a framing device for events, but it is mostly in the background until the end. There is very little exploration of why the Tarot is magical or what the significance of the Sepulchre actually is. I could not help but feel that this would have been a better novel without the supernatural drama, which came off feeling hollow. An atmospheric ghost story with a pinch of Da Vinci Code. Though I didn't get emotionally invested, I kept reading for the enjoyment of the French setting and the interesting tarot and musical angles. I'd have edited some things differently if it were down to me--we know we're in France speaking French, and that this is all in translation so to speak, so why sprinkle in so many phrases in French? It's like when there's a film set in France in which the characters are all meant to be speaking Fre An atmospheric ghost story with a pinch of Da Vinci Code. Though I didn't get emotionally invested, I kept reading for the enjoyment of the French setting and the interesting tarot and musical angles. I'd have edited some things differently if it were down to me--we know we're in France speaking French, and that this is all in translation so to speak, so why sprinkle in so many phrases in French? It's like when there's a film set in France in which the characters are all meant to be speaking French but it's done in English, but they put on French accents with their English. Argh; doesn't make sense. But I digress. The book kept me interested and even got me to look up a cool little tarot-card app for my phone, just to admire the artwork and ponder the symbolism for each card that comes up. "Love—true love—is a precious thing. It is painful, uncomfortable, makes fools of us all, but it is what breathes meaning and color and purpose into our lives." The research done for this book is amazing. And because of that, the ambience is fantastic. It captured 1890s Paris with its equally beautiful writing stunningly. The character department didn't disappoint either. I felt for every one of them, and I must say that this has the most evil (though mortal) villain I've encountered so far. The s "Love—true love—is a precious thing. It is painful, uncomfortable, makes fools of us all, but it is what breathes meaning and color and purpose into our lives."